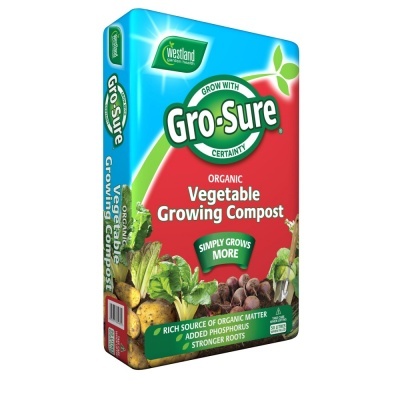 Westland Gro-Sure® Organic Vegetable Growing Compost 50ltr Bag promotes healthier root establishment in vegetable plants, and adds back vital nutrients to the soil. Compost delivers a very rich source of organic matter with added phosphorus, for stronger vegetable plant growth and cropping. 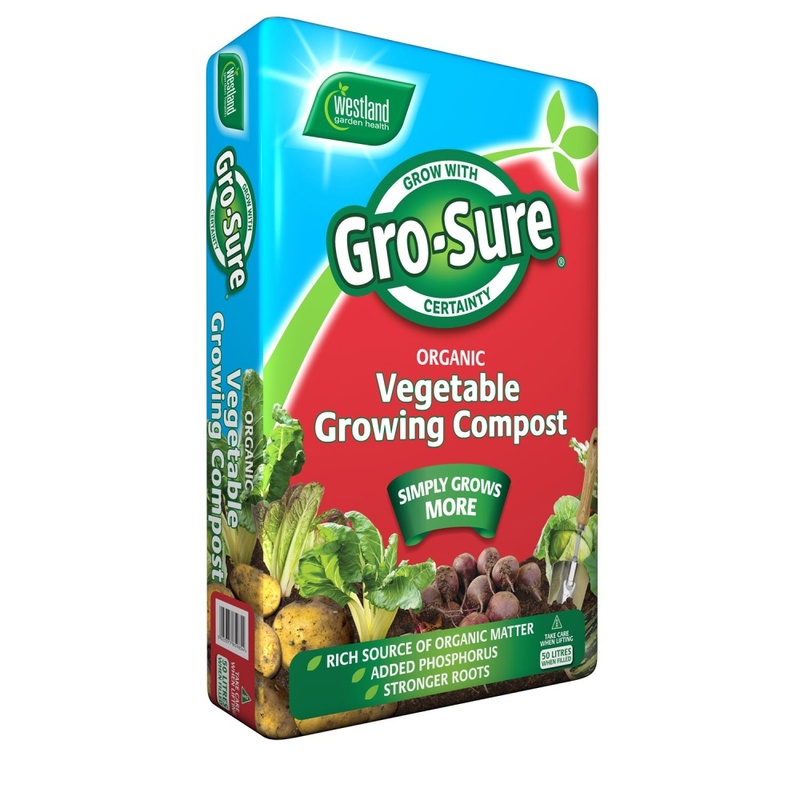 Gro-Sure benefits from water retaining properties of the Westland's wood fibre technology (a high performing peat replacement), so the moisture loss in the soil is reduced.